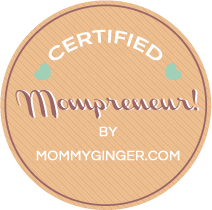 Talks about Mommy Ginger’s business tips and advice for momtrepreneurs. She shares valuable knowledge on topics like branding, marketing and consumer insight. Zeeka, my daughter, was dancing like crazy again last night. She has this habit of singing original songs with lyrics she invents. She then performs in front of her able and willing “audience”, which is no other than me and my husband, at least 2 times a week. Not an ounce of shyness or hesitation can be traced in her voice and actions. She gave us singing lessons last night. And again, we had to comply when she said that we had to individually sing our own original songs. Of course, for the most part, me and my husband both giggled our way to the end of our song (and thought it silly to be doing this). Our 6 year old teacher was obviously disappointed and angry that we weren’t taking things seriously. I am amazed at the confidence of little children. This is something that led me to write about how can we, as bloggers, build confidence. First off, confidence is important in our line of work or in anything in life for that matter, since it leads to success. Having lack of confidence lead to doing nothing or inaction. Make sense, right? When you are confident, you say yes to opportunities. You don’t let fear stop you from doing the things that you love doing and the things that you’re curious in trying. When you blog, your life is an open book for everyone to see. If you’re not confident enough, other people’s comments will affect you and may even affect your decisions. I think it was apt to talk about confidence and influence in the same article, because if you want to influence someone, you yourself should be convinced by YOU. Dale Carnegie was right to link Confidence and Influence, but he talks about if from the point of view of public speaking. Let me write about though from the perspective of being a blogger. Salespeople won’t be able to influence and close a deal if they themselves are not confident when it comes to explaining the product or service that they’re selling. In blogging, it’s the same thing. If you’re not convinced that people will read your blog post, then people will definitely not read it. And persuading people or influencing people all boils down Aristotle’s Ethos, Pathos and Logos. Ethos refers to the blogger’s character. 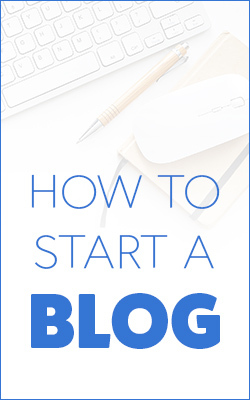 And when reader’s read your blog for the first time, they “judge” you base on the filters that you use on pictures that you post, how many sentences are grammatically erroneous, your blog topics or what you love to write about, etc. All of these things. People are oftentimes looking for “someone” online — either to befriend, emulate, rekindle a relationship with, criticise, etc. So who are you to these people? Pathos comes into the picture when the blogger uses emotions to influence an audience. The emotions that can use may be humor, pity, sadness, longing, happiness, envy (even), etc. People who have gone through a similar emotion or have experienced this emotion would likely read and follow your blogs. We know that we are rational creatures, but there are times that we make irrational decisions (I admittedly make lots of these! haha). The last one is Logos or the use of reason. Sad to say, in influencing people, this is the least important. This is the reason why marketers, researchers, psychologists have tons of research about how people behave and act, because we often don’t act based on “logic and reason”. As my husband always says, we humans justify our decisions. Even if we make a wrong decision that puts us at harm, we still justify and give a whole list of reasons why we chose that. So there you have it, aspiring and current bloggers. These are my own thoughts on confidence and influence. I hope that this post made you think about your own view on Influence. If you want to join the conversation, feel free to comment below. Thank you for the people who have already filled out the form! 🙂 You’ll hear from me soon! Doing your taxes is probably one of the most frustrating things every working person does. Even the more veteran people, when it comes to taxes, would find it hard to do when they don’t prepare for it well. In the Philippines, tax computations are one of the things that a lot of people fear, just because of how stressful it can get. That being said sooner or later, everyone will have to do their taxes as part of their lives. And for those first timers that have no idea how to do them yet, don’t fret, because if you start out early, you might find it easier to do in the future! Plus keep in mind that there are a lot of helpful websites and applications that make it easier for you to do your taxes! That being said, here are some of the most important things that every first-time taxpayer should know. There are many kinds of BIR forms that are dedicated solely to paying business taxes. For example, there are specifics forms applicable for self-employed individuals, employees of companies, and business owners. And there are forms that are to be used by Partnerships and Corporations. It’s important that you know which one you should use so that you can fill out the right form and avoid penalties. Freelancers fall under self-employed individuals. We, freelancers, are considered non-licensed professionals. They, along with business owners who are sole proprietors usually do their own taxes. While people that are employed would usually have their companies do their taxes for them. There are as many steps to the processes as there are BIR forms. Haha! I may be exaggerating, but the what’s for sure is that the steps to be taken take a whole lot of time from a business owner’s day. On the average, a business owner in the Philippines takes 2 days in a month (according to a PWC and World Bank report on taxes) spent just complying with taxes. When starting a business, I highly recommend that one should at least be familiar with the 101s of preparing and submitting your own taxes. A good example would be to know more about income tax returns. These are forms that need to be submitted as long as you are making some kind of income or receiving compensation. Income is basically your gross revenue less expenses and when you do this, you get your taxable income. This is the basis for your taxes (income tax return). A self employed individual submits and pays for income taxes every quarter (Form 1701Q), the fourth quarter being the “famous” annual income tax (Form 1701 or 1701A). If you are employed (have a day job) and running a business at the same time, you are considered to be a mixed income earner. How do you report taxes? You will secure BIR Form 2316 from your employer at the end of the year and use the values there and combine it with the income / expenses from your business. You do this only for form 1701 or Annual income tax form. If you need help in preparing tax form 1701 and 1701A, feel free to check out https://www.taxumo.com and check out their blog. They have useful information for everyone! The final step is to print out all of these documents and pay for it at the Authorized Agent Bank (basically a bank that accepts BIR payments in the city of your business). Please prepare 3 copies for all of your accomplished BIR Forms along with the required deposit / bills payment slip and your payment. In some cases, you won’t be needing to pay anything, and that would entail a “No Payment” Situation. These include refundable/ creditable tax returns, returns with excess tax credit carry over, and returns that are qualified for a second instalment. These “no payment” transactions just need to be filed and stored together with the BIR confirmation via the eBIR Forms system. This article detailed the very basics of what you need to know about taxes. In the Philippines. Tax computations are frustrating, however, as long as you prepare everything and do it as early as you can, you won’t have a problem with doing your taxes any time soon. If you need help with understanding all of these still, just ask Taxumo. P.S. I’m a co-founder of Taxumo, whose mission is to help people start and sustain a business! 🙂 Feel free to contact us!